Sometimes you may think you have a transmission problem when you actually don’t. Sometimes, moving parts may sound or act like a transmission problem. That’s why you need an expert auto mechanic. He can look at the problem, check your linkages, and more. He will be able to determine in a short time if it is an actual issue or something related to the computer modules or other parts. Your engine is the hottest part of your car. Your vehicle’s cooling system keeps the your engine operating safely. During our cooling system inspection, we check your vehicle’s temperature and at the same time check your transmission’s temperature as well to make sure it isn’t overheating. In addition, we also check all other your brake cylinders, power steering, and more. During our differential inspection, we check for leaks as well as any noise from the bearings and gears. If it is a manual transmission you need help with, we have over thirty years of building manual transmissions and installing clutches. Times have changed, and gear boxes have become more complex, however, we know what we’re doing. If you wish to improve your vehicle’s performance and driving, we are certain you will be happy with the performance of your import or domestic vehicle after our auto mechanics have fixed it. No repair is too big or too small. We will do our best to bring your vehicle back to being in the best condition possible. Since we are your one stop mechanic, you will likely be able to get all your repairs done here. 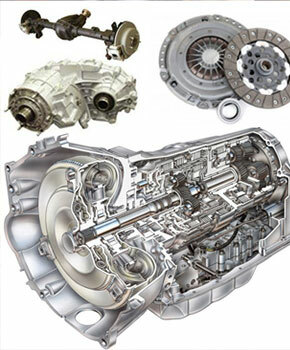 Have your transmission rebuilt or exchange your old transmission for a brand new manual or automatic transmission. You can save money while getting your vehicle to run like new again. If your vehicle is not running right, call us or bring it on down for a tune-up. The Transmission Center is your full service auto repair shop standing by to serve.